At the age of 14, I moved to Florida, not knowing how much I would love it here. I started school and realized that art and the ability to create was my passion. A few years passed: and I got my first car and so did all of my friends. It was then I chose to give it a shot and tint our windows, and the next thing I knew I was the “tinter.” As we all got older, I knew that tinting was what I enjoyed and I began to make my living doing it. 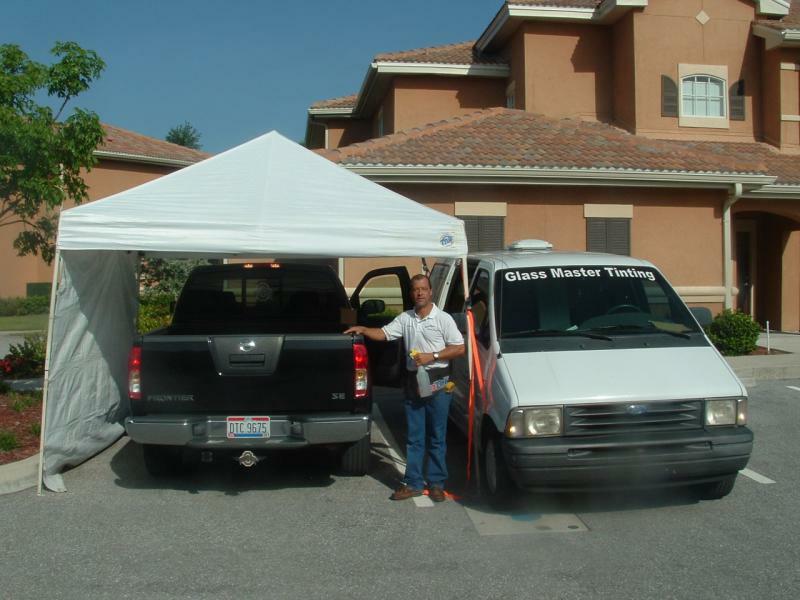 After Hurricane Charley, I decided to go to the customer, and made my service mobile and the turn out was amazing. Everyday I meet new people, coming to their home or business to tint their vehicles or places of work. Many of my clients have been with me for years because of the quality of my work and my willingness to come to them. Also, for residential jobs, tinting houses can be a slow process and many people are worried who they let in their home. My past customers have said that they love the fact that I only work alone and I am animal friendly. Contact us today for your free home or business estimate! Copyright 2011 glassmaster window tinting . All rights reserved.